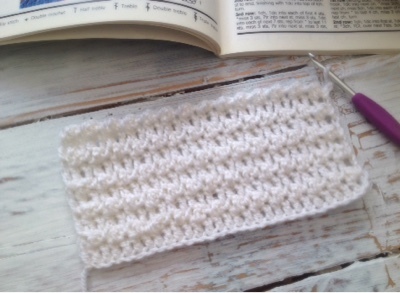 I'm experimenting with floret stitch for an alternative to the week ten Scheepjes CAL square. The instructions are in this very useful book I picked up at a local table top sale for 30p. 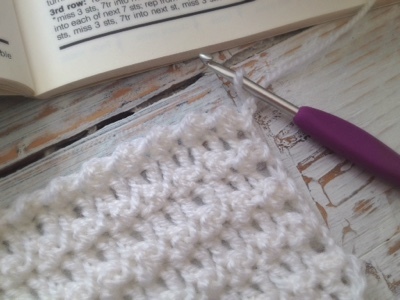 It's called The Harmony Guide to Crochet Stitches, published in 1986. 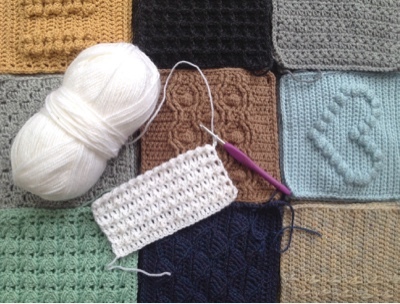 It's extremely well laid out and packed with stitches of all kinds; every crocheter should have one! Floret stitch is a bit fiddly and not especially quick but I need to settle on a square and make four by Wednesday to get me up to date ready for week eleven. I like the way it's keeping its shape and probably won't even need blocking. 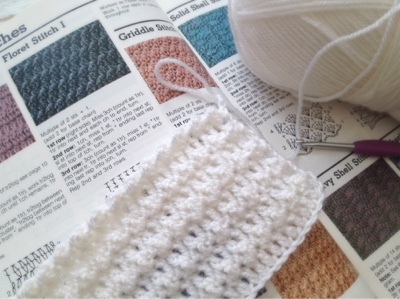 I couldn't resist getting my piles of finished squares out of their boxes for a quick recap. Oddly enough 36 squares all piled up like this doesn't seem anywhere near enough for a blanket but there are twelve more squares to make and I'm sure it will be plenty. 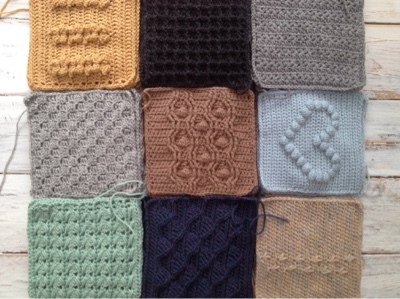 If I need crochet inspiration in the future I only need take a look at the variety of squares in this blanket! It really does look amazing.